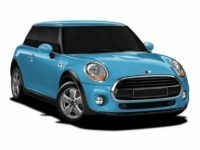 They say good things come in small packages, and this phrase is especially true when it comes to the MINI. This stylish, fuel-efficient and feature-packed brand of automobile is appealing to a wider and wider consumer base, and it’s perfect for residents of NYC and other urban areas. 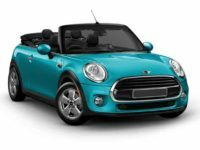 Car Leasing Bronx is committed to bringing all the benefits of driving a MINI to our friends and neighbors in Bronx through affordable, flexible and convenient MINI leasing. We offer the largest selection of late-model, low-mileage MINIs; online shopping; and free and convenient delivery to your home or office. Call the experienced and qualified professionals at Car Leasing Bronx today at 347-523-5600. 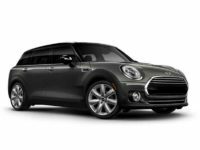 While other auto leasing companies make you pay big prices for this small car, Car Leasing Bronx offers rock-bottom prices on the MINI models you know and love. 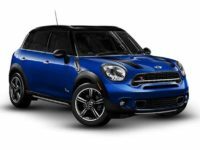 Whether you’re looking for a Convertible, Cooper Clubman, Countryman, Hardtop 2-Door, Paceman or anything else, we have the largest inventory of MINIs in the area. Car Leasing Bronx has close and established relationships with the most trusted and reputable MINI dealerships in the area, and we are prepared to leverage these connections to offer you the largest variety for the lowest prices. Come and enjoy our concierge-like service when leasing your next MINI. Contrary to what one might think, a MINI doesn’t have to carry a big price-tag. Car Leasing Bronx offers the area’s lowest prices and most flexible lease agreements so you aren’t tied to a costly and expensive lease. Many auto lease companies offer extended and high-priced leases that actually take the convenience away from the leasing process altogether. At a certain point you might as well buy rather than lease your MINI. 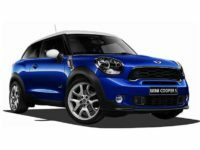 Don’t let the expense and obstacles of the traditional leasing process stop you from driving the MINI you want. Our professionals will be more than happy to help you. Forget everything you know about the traditional leasing process. Car Leasing Bronx has reinvented auto leasing by offering the largest selection of vehicles, the lowest-priced and most flexible lease agreements, 100 percent online shopping and free delivery to your home or office. Our convenient and streamlined application process will have you driving your new car or truck today. Our professionals will even help you explore ways to terminate your current lease if it no longer works for you. Car Leasing Bronx works with customers of various credit backgrounds and we approve about 90 percent of our applicants. Call our friendly and knowledgeable professionals today at 347-523-5600 and start driving your new vehicle now.